I'm a freelance software developer currently living in Amsterdam. The original Hackers and Founders started in California. We are the Amsterdam chapter and we have close ties to Hackers and Founders in Silicon Valley..
Hackers and Founders is for everyone who is interested in startups in the Netherlands. Our community consists of designers, engineers, founders, product owners, business developers, investors.. everyone who is interested in startups and tech. We have many different types of startups within the community from early stage bootstrapped to seed funded, A-round invested etc as well as startups within larger companies (Intrapreneurs). Several years ago we started a Slack for the Hackers & Founders co-working building. 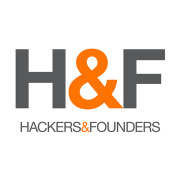 We have very recently opened up the Slack to the whole of the Hackers & Founders community. If you want to join the Hackers & Founders conversations in Slack (#jobs etc) you can sign up here immediately. Would you like to speak at one of our meetups? Let us know here. Follow on Twitter for updates about the meetups. We have a beautiful co-working building on the Herengracht that we organise so that members of our community can share a workspace with like minded individuals & companies. There are details on our web site here. Let us know if you want to rent a desk or an office, you can apply here.